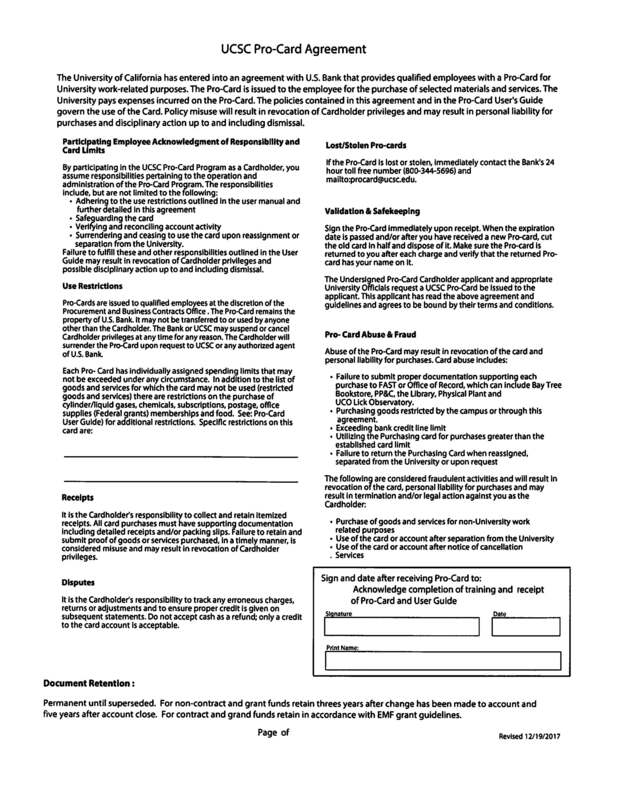 The Financial Affairs ProCard process and forms link. Please have your supervisor prepare the ProCard Application for both you and your supervisor to sign to be submitted to the Business Office for processing. You will need to take the Pro-Card cardholder quiz at the following website, and the quiz will need to be retaken annually. 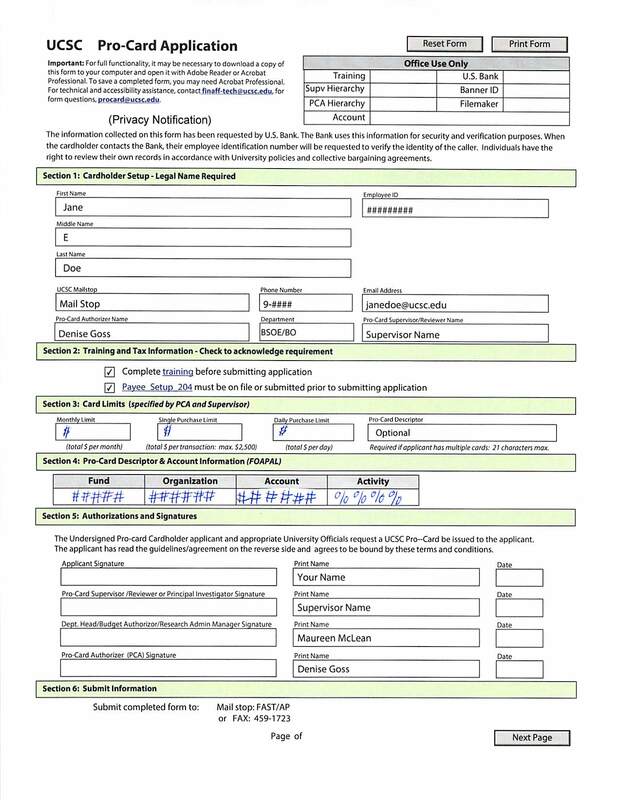 The supervisor will need to take the Pro-Card supervisor quiz at the following website and renew annually also.